HOMEDALE, Idaho — One veteran's cleanup project in Nampa led to another's missing treasure. 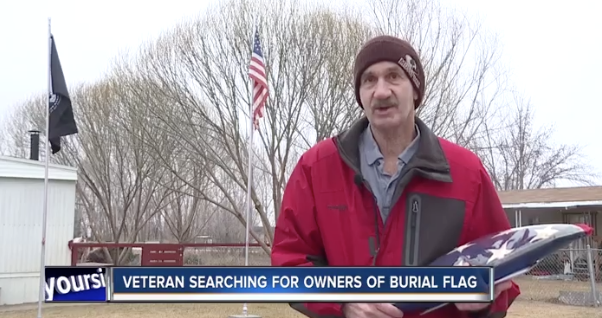 While cleaning out a home in Nampa, veteran David Slawson Sr. found a military burial flag. All he had was the name of the owner, Mr. Argo Buchanan, but he says he knew immediately how special the flag was. If you know any family members connected to this flag, please email us (news@kivitv.com) or reach out to us on our Facebook page.